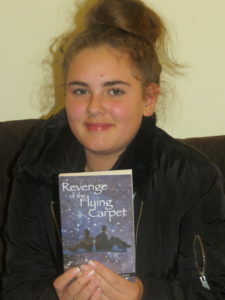 Please find on this page some questions for group to use to discuss Revenge of the Flying Carpet. The first ten questions are most suitable for individual or book club use. Please scroll down for more detailed questions, suitable for use in schools and church study groups. Paul and Trinity are twins, but there are many ways they are not alike. What would you say are the main differences between them? Paul meets several people on his journeys. (The soldiers, the King, the old man in the olive grove, the prophet, the gardener, Seth and Anna, and Michael.) Who would you most like to have met, if it were you on the flying carpet? Why? Do you think Spencer is a good friend? Paul feels the man in the olive grove understands how he feels. Do you have someone you feel understands you? When people talk to you, do you try to understand how they are feeling? Why do you think Paul experienced a sense of freedom when he returned to the place where he had been imprisoned in the dungeon, to find it in ruins? Paul finds it helpful to paint his experiences. He also found it helpful to pray. How do you like to express yourself? Do you pray, the way Paul does? Do you think you would find it helpful if you did? Why was the prophet in prison? Was he a criminal? Are there people who are imprisoned for their faith in God today? What do these words mean: righteousness, justice, mercy, grace, revenge, forgiveness? Name some of the reasons Paul wants to get revenge on Trinity. Can you understand that feeling? Is there anyone you would like to get revenge on, who has hurt you in some way? Why does Paul describe Seth and Anna as being “rich people” when they have so few material possessions? How rich do you think are you? What do you think is better – revenge or forgiveness? Why? Can you imagine being able to forgive people who have hurt you? Seth and Anna forgave the man who allowed his goats to eat their blanket. Michael forgave Trinity for betraying him. Why did they decide to forgive? Do you think it would have been a hard thing to do? What was different about the last trip? Was Paul more afraid of the dragon or the light? Why? What did Paul discover about the reason for his trips on the flying carpet? Does he get revenge in the end? Does he get justice? Do you think the book could have ended in a different way? Why does Paul go up into the loft? What was special about the carpet? The expression “I nearly died” is a colloquial one. Think of other ways of expressing how Paul felt. What type of life does Paul have? What are the main problems that Paul faces? Are there any ways in which you can identify with Paul? How would you feel if something mysterious like that happened to you? In chapter one, Paul describes his sister. In chapter 2 we start to see her for ourselves. How would you describe her? OR What sort of picture do we get of Trinity’s character during the course of the book? Do you feel sorry for Trinity? Do you think the way she acts is a choice she has made, or is she a victim of her circumstances? What sort of friend is he? “It seems that some things never change.” Paul has gone back in time. What sort of topics for conversation is he able to have with the king despite the time and culture gap? Draw or describe a flying carpet from your own imagination. How have different cultures varied in the way they punish for theft? What do you think is a just punishment for theft? What help/support/advice does the old man give to Paul? Is any of the advice helpful to you? 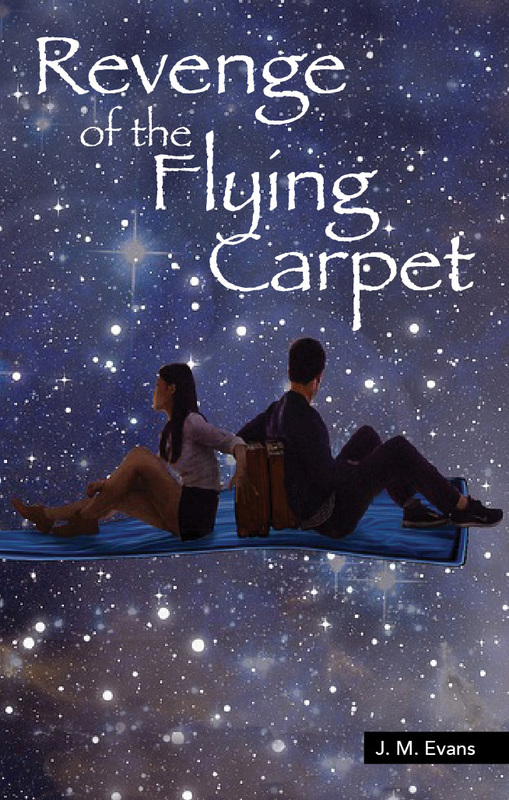 Who would you like to meet on a flying carpet trip? 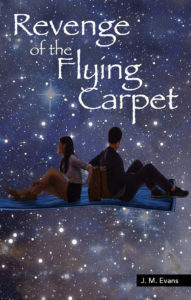 Write a story about a trip that you take on a flying carpet with a companion. Can you see an example of poetic justice in this chapter? What is the difference between a profit and a prophet? Why was the prophet in prison? Have there really been people in history who have behaved as badly as the prophet says here? What does he say is going to happen in his land? What is mercy / righteousness / humility / justice? Can you find any examples of mercy in chapter 8 / the book? Paul establishes a good rapport with the gardener. What do they learn from each other? Do you think rich people think they are better than other people? Are they more powerful? Have you ever been in a really dark place? How did it make you feel? Why do you think Paul experienced a sense of freedom at returning to the place where he had been imprisoned and finding it in ruins? Why does Paul find it helpful to paint his experiences? How do you like to express yourself? Why do you think Paul overlooked the fact that pushing Trinity off the carpet would backfire on him? Are there any signs that Trinity cared for Paul in any way? Do you think that Paul has a good case for wanting revenge on Trinity? How do Seth and Anna encourage Paul? What good advice do Seth and Anna give to Paul? Why does Paul describe Seth and Anna as being “rich people” when they have so few material possessions? What do you think is better – revenge or forgiveness? Why? What struck Paul as being different about the way that Michael prayed? What did Nathaniel mean about spiritual battles? Why were the Roman Christians so concerned about the news that Trinity was in prison? Have Christians really been imprisoned / killed / suffered for their faith at times? Where does the carpet take them on their last trip? What is so different this time? Was Paul more afraid of the dragon or the light? Why? The word “grace” is used a lot in this chapter. What does it mean? We recommend the New Living Translation. You can check it out on www.biblegateway.com or www.bible.com. We would like to extend our grateful thanks to Brenda Lord for her her help in compiling these questions.